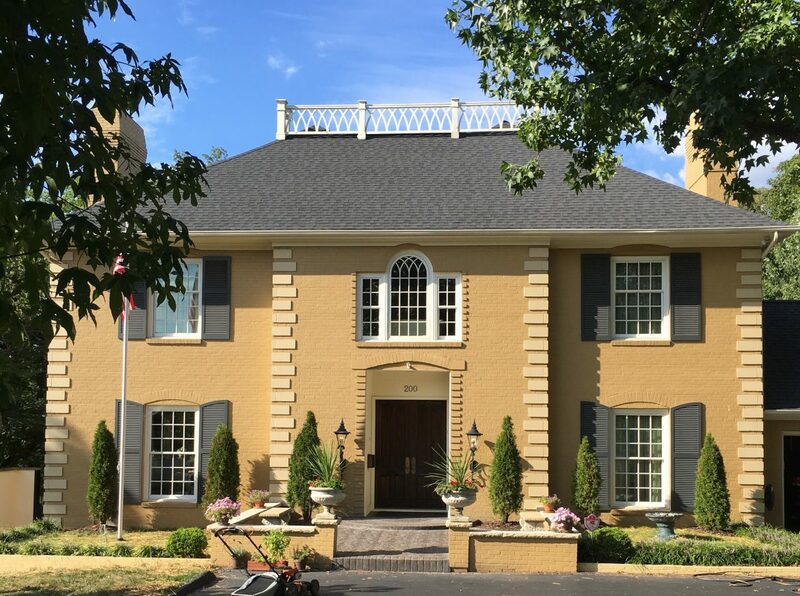 The Georgian Manor style of this home, adjacent to the University of Missouri-Columbia, was heavily influenced by original homeowner’s antebellum era childhood home in Georgia. Antebellum style features of the home include an enormous foyer with a sweeping stairway, grand dining room and extensive millwork and paneled walls throughout, to name a few. The original footprint of the home also included a work-style kitchen with adjacent live-in staff quarters. TAM STONE, Inc. has lead a complete interior and exterior architectural redesign of the home, which included the addition of a sweeping veranda with upper balcony to the rear of the home and a complete remodel of the interior living spaces. The most significant interior changes involved transforming the existing work kitchen and staff quarters into a large family kitchen with attached catering/utility facilities. During the architectural design, and as the project continues through the decoration phase, Tam has been sensitive to maintaining the architectural integrity of the home while creating a space that is conducive to the needs of a growing family.